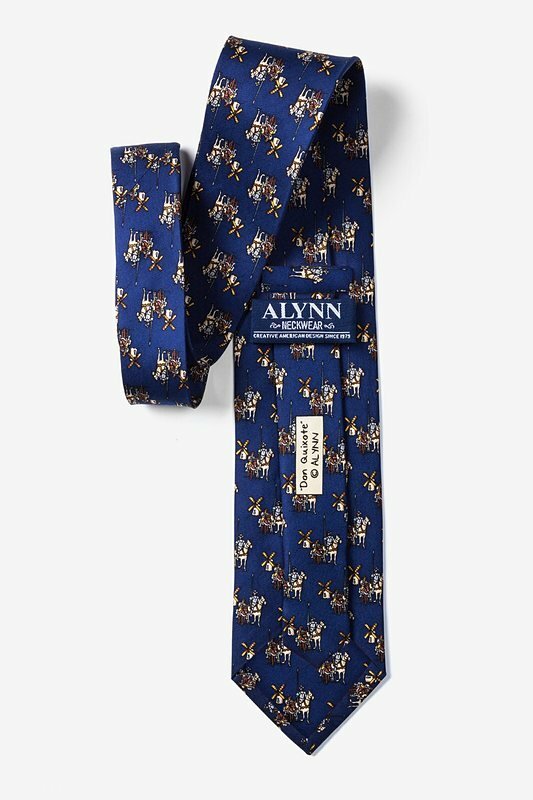 Revive the glory of knighthood and dignity with this 100% silk necktie by Alynn Neckwear. 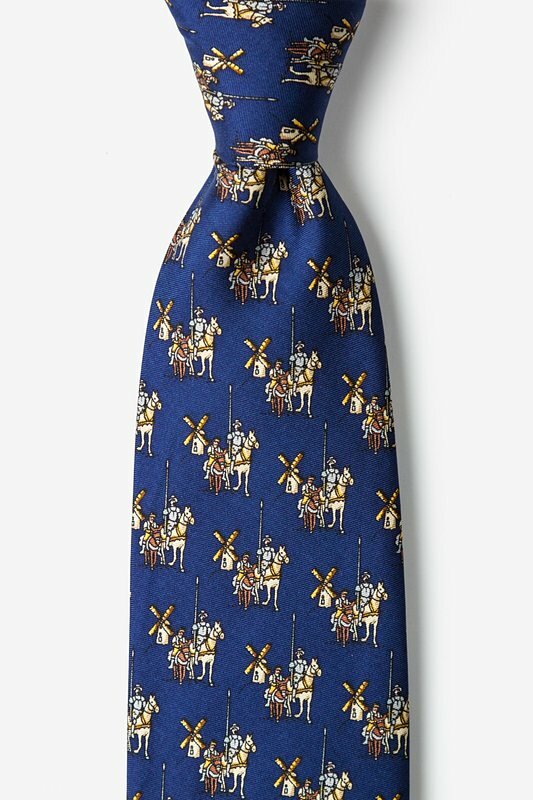 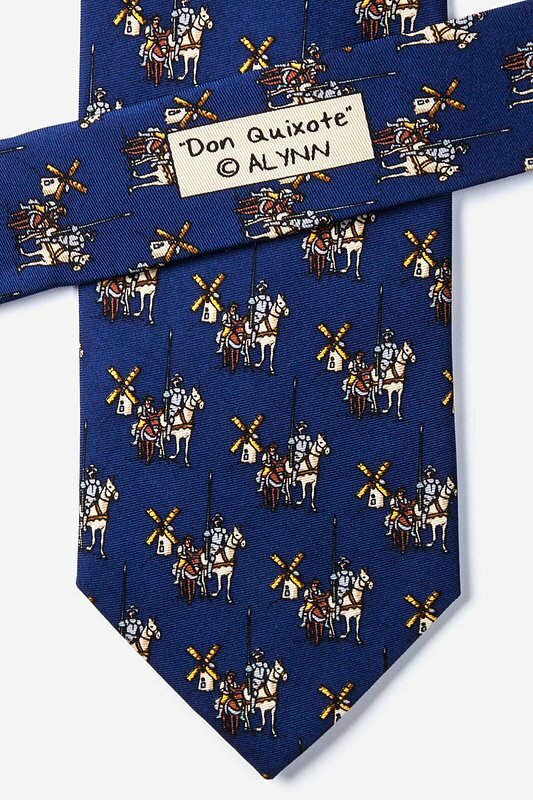 Featuring the infamous Don Quixote himself, his faithful horse Rocinante, a... read more Revive the glory of knighthood and dignity with this 100% silk necktie by Alynn Neckwear. 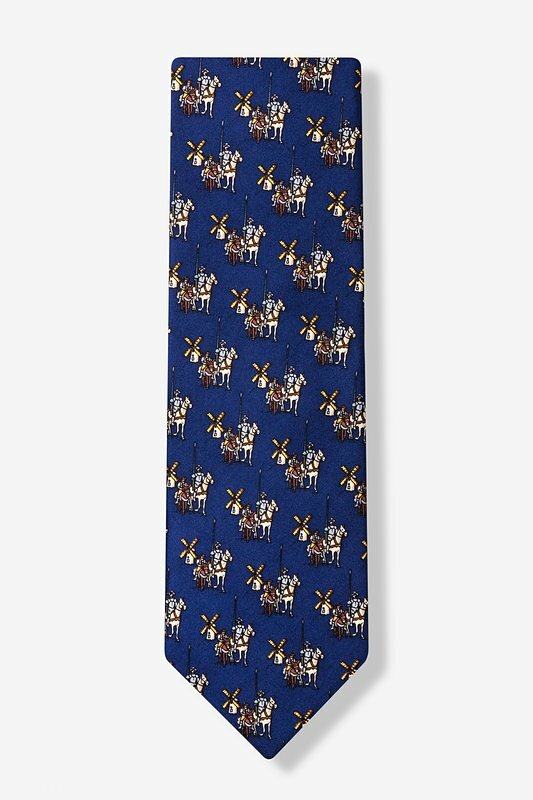 Featuring the infamous Don Quixote himself, his faithful horse Rocinante, and his humble squire Sancho Panza, this navy blue tie will tell the world that chivalry is most certainly not dead.